Poincaré was born on April 29, 1854, in Nancy, France. He was physically awkward with poor eyesight and a selective memory. By the time he was studying mathematics in school, he was unable to see the blackboard but could remember all that he had heard (but not whether he had eaten that day or not). Although much of the mathematics he later created was very visual, he learned it aurally. Poincaré entered the École Polytechnique in Paris in 1873. Three years later he moved on to study engineering at the School of Mines. In 1879 he received his doctorate for work on differential equations. He spent two years on the faculty at the University of Caen and then in 1881 moved to the University of Parts. His commitment to teaching and to research continued until his death. His early work was on differential equations, following up on his doctoral thesis. He also constructed and explored the properties of what he called a Fuchsian function, a transformation of a complex variable that sends a curve into itself. His papers on probability were influential and far reaching; he wrote a pioneering book on topology in 1895 called Analysis Situ, which looked at the continuity of properties in a universe that is stretched or distorted. The relative motion of the planets has long fascinated mathematicians. Poincaré used differential equations to solve the n­body problem, an extension of the three, body problem of describing the gravitational effects of the Earth, Sun, and moon on each other. He concluded in 1898 that there is no place in the universe that is not moving, and in 1905 and 1906 Poincaré published a special theory of relativity independent of Albert Einstein. Poincaré’s mathematical ability had been recognized since he was young, and the honors and recognition continued. He was put in charge of the programs in mechanics and experimental physics at the University of Paris. In 1887 he was elected to the Academy of Sciences and would later serve as its president. Toward the end of his life Poincaré began to write books for the general public such as Science and Hypothesis (1903), The Value of Science (1905), and Science and Method (1908). Because of the literary quality of these writings, Poincaré was elected to the Academie Francais in 1908. 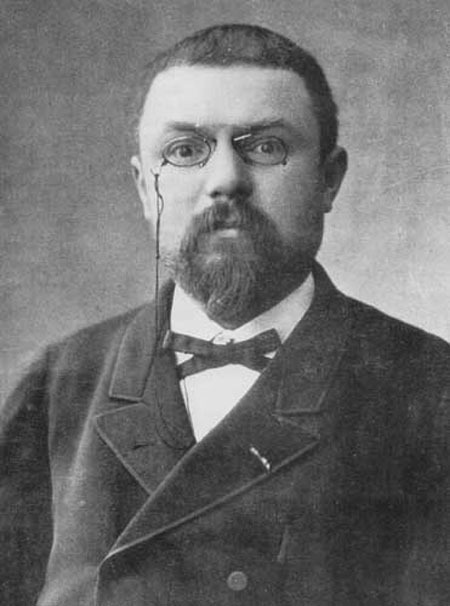 Poincaré died on July 17, 1912, in Paris. Poincaré’s impact was extensive and immediate, since his talents were recognized early and his writing was so prolific. Beyond his immediate impact, however, were his contributions to the public’s understanding of science arising from his writings on the processes of science and mathematics. Poincaré influenced each field in which he worked. For example, his work in probability anticipated concepts used in statistical mechanics, a specialty in physics that uses statistical methodology and classical and quantum mechanics to explain the behavior of a system based on its constituent elementary particles; his explorations of Fuschian functions in the field of differential equations were influential in non­Euclidean geometry. One of his most direct influences arose from his book on topology, which offered specialists an early systematized treatment of the subject. Indeed, the title of the book—Analysis Situ—was the name given that specialty for a while. Poincaré was the last of the global mathematicians in an age of specialization. His ability to consider mathematics as a whole is considered a key component of his genius. Poincaré’s s are often studied today by psychologists, educators, and historians of science for clues to the psychology of discovery and induction that seem to be independent of logic Poincaré himself described the stages of his problem ­finding, problem ­solving thinking in “Mathematical Creation” and other essays. Poincaré wrote elegant prose that introduced the public to the importance of science and mathematics. His books, which were translated into many languages, demonstrate his desire to share with the public not just the results, but the processes of science. Posted on March 10, 2015 by Natalie. This entry was posted in Mathematicians. Bookmark the permalink.